As a business owner, you know the day will come when you will walk away from your company’s operations. That’s a big day: Selling your business will likely be the biggest financial decision you will ever make. Working with a professional business intermediary will provide you with expertise necessary to help you make that decision confidently. Consider teaming up with a Certified Business Intermediary (CBI), a professional who fully understands what it takes to successfully sell a business. A CBI can bring significant value to the complex process and help you complete a sale that results in the best possible value—and your peace of mind. A CBI is the designation awarded by the International Business Brokers Association (IBBA) to members who have met certain educational requirements and ethical standards. With 1,950 members worldwide, IBBA is the largest non-profit association operating exclusively for the benefit of business brokers. Education: A CBI must complete a minimum of 68 class hours of business brokerage courses and commit to continuing education. Recertification is required every two years. Experience: A CBI must have a combined minimum of three years of experience and education in business brokerage. Ethics: A CBI must thoroughly understand the IBBA’s Code of Ethics and apply the code to his or her business practices. If you’re thinking about selling your business, you need the advantages that a Certified Business Intermediary can provide. STEVE BOYLAN, president of Beacon Business Group, has earned the CBI certification from the International Business Brokers Association and has been selling businesses since 2003. 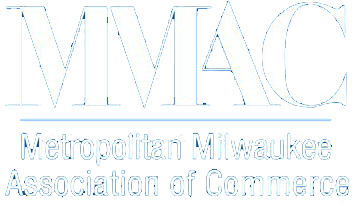 For a no-cost initial consultation, call us today at 414-988-6022 (Milwaukee) or use the form below to send an email.